This statistic shows the aggregated revenue of PricewaterhouseCoopers from 2010 to 2018, broken down by service line. 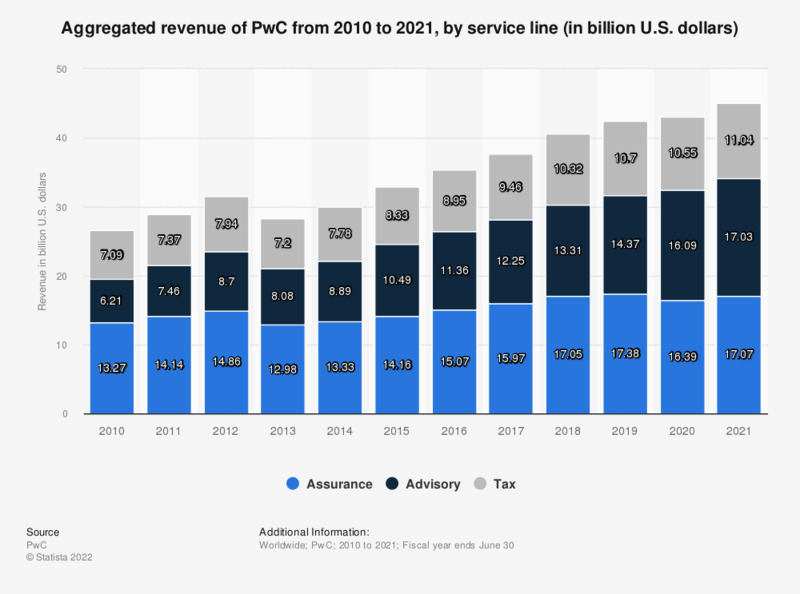 In the fiscal year of 2018, PwC generated approximately 17 billion U.S. dollars from its assurance services. Figures prior to 2014 were taken from a previous edition. The source does not provide a date of publication. The date give is the date accessed. Revenues are expressed in U.S. dollars at average exchange rates for that financial year. Gross revenues are inclusive of expenses billed to clients. How long do you plan to stay in your current coworking space?